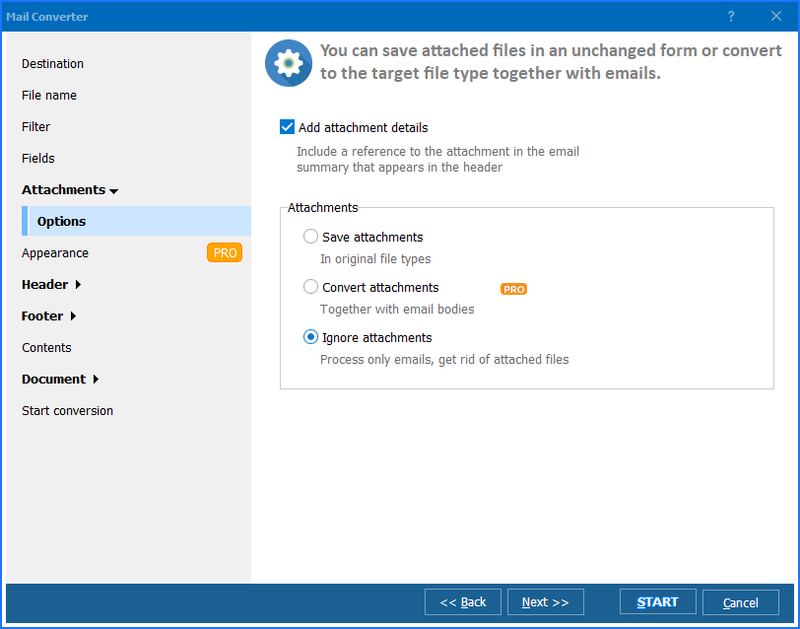 Email files like EML or MSG are not supported by text or image viewers, and can be read only after importing into a mail client. If you would like to share them freely, or be able to edit as texts, you should export emails to text format. TXT is very small in size, and you will be able to store your mail copies compactly in memory or share online with minimum traffic consumption. And there is even no need to buy and install any software for this, as you are able to convert email to text free of charge, using Online Mail Converter from CoolUtils. No editable settings are available with the free service, you just get a copy of original message file in a new format. A TXT copy will contain the info from major email fields like from, to, subject, date and body. 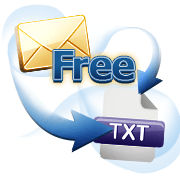 This free mail text converter provides only single file conversion, no batch mode is supported. Just convert every file separately, producing a TXT file for each. The process of conversion doesn't imply any registrations, purchases or watching ads. 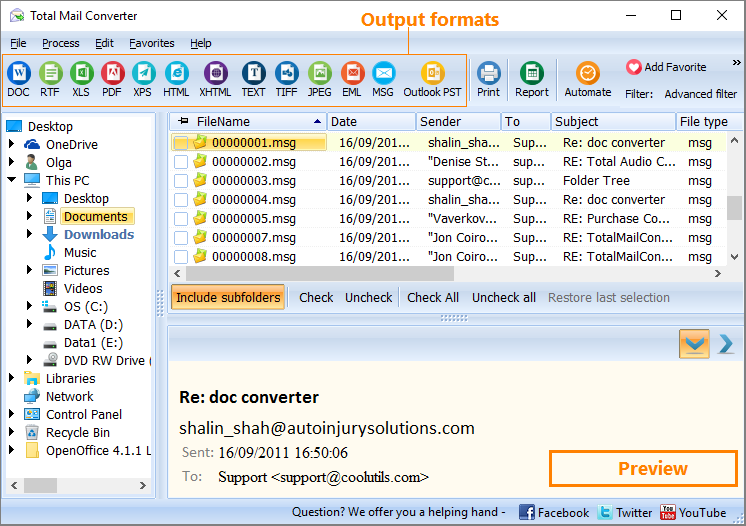 You just open the converter's page in a web browser, upload original email file, select format and get your TXT copy. You can convert emails even from your mobiles or tablets, as no matter what OS your device is running. The only requirement is internet connection. 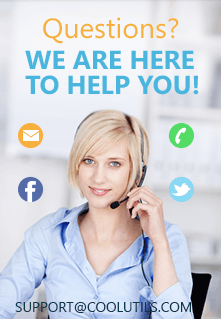 Being a free online mail converter, it is limited in use. You can make up to 10 conversions per day, as you need. 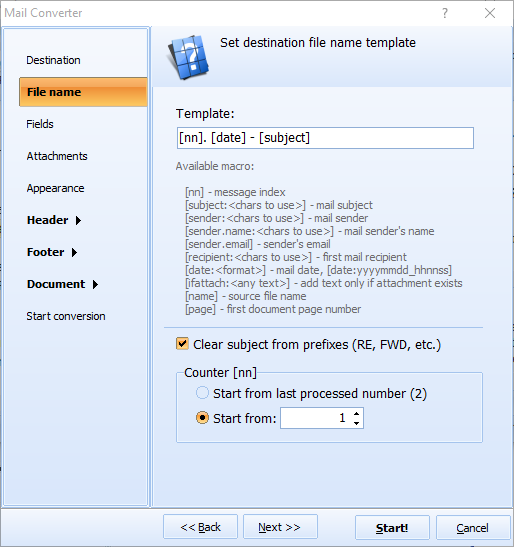 For batch processing try the desktop Total Mail Converter. The free evaluation copy is valid for 30 days.